Hey Curvies! You all know that I'm a huge subscription box fan. I'm subscribe to a few beauty and fashion boxes. A few months ago I started searching for an affordable Plus size exclusive subscription box. After a long search I finally came across Volupties a monthly plus size underwear subscription service. For only $17 a month + Free Shipping you get 3 plus size underwear. Yes, you saw that right! I truly recommend Volupties. Fun, affordable, no scams,no obligation and you can cancel anytime you want. You subscribe and fill in your profile with your preferred size. If you think that you're an in between sizes I recommend you get a size up. Not Plus Size? Try Volupties's sister company Splendies 3 regular sized underwear for just $13.99 a month. $12 on your first month! Steal!!! I got 3 different kinds of undies. Lace,Seamless&Sheer. 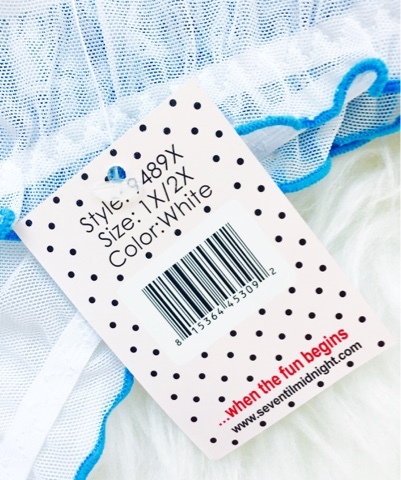 You get different kinds of underwear each month, all of which are surely unworn & new and certified plus size.